Replies: 126 (Who? ), Viewed: 100939 times. #1 11th Oct 2014 at 7:14 PM Last edited by justJones : 9th Dec 2014 at 3:54 AM. Your sim has decided to be one of the brave heroes throughout history who travel to the loneliest places on Earth to find a new home. Your job is to survive and create a thriving colony in the middle of nowhere. To build and to populate your colony. The challenge is over when you've lifted all restrictions. 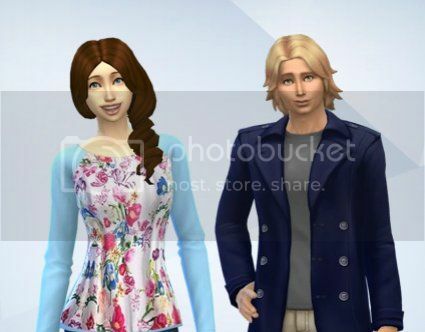 -Create a couple in CAS (young adult or adult). They are your settlers. Pick their traits and aspirations randomly (you can use dice, random.org or this trait generator: https://www.platinumsimmers.com/trait-randomiser/). Choose which one of them you're going to control. -Bulldoze all lots in the world. Your sims are settlers and there are no other people living in the colony yet. You may leave one starter house and buy that lot for your sims, or you can build a completely new house or download one from the gallery. -You must use all or almost all your money building and furnishing the house. You can also buy up to three books and one pack of seeds. The point is that you must not have any money when you start the game. If you run out of things to buy for some reason, use a money cheat to reduce your money to zero. -You may only control one sim. That sim is called the heir. You will control several heirs during this challenge, but only one at a time. -There may only ever be one heir at a time. You can freely choose who the next heir is and you can decide when to start playing the next heir, but once you’ve decided, you can’t change your mind and go back to playing the old heir. If you start playing the new heir while the old one is still alive, the old one is not considered an heir anymore. -The new heir must be the previous heir’s child. -If the heir has many children, all those children except the future heir must move out when they become young adults. -The heir may marry and move their spouse in. -You may not age sims up days before their actual birthday. -Cheats, mods or hacks that give you an advantage over a person who doesn't use them are not recommended. -If you want to make this challenge easier, you can use one helper (the spouse / sibling / parent etc. of your heir). The helper may do simple tasks (such as repair an object, water plants, cook a meal, feed a baby), but you shouldn't control the helper too much - only a couple of tasks a day. If you don't use a helper, you may notice that the inactive sims in your family won't do much (or any!) work autonomously, which does not feel very realistic in a hard-working colony. -Traits and aspirations are always randomized when a baby is born or a sim ages up. You can use any random trait generator (e.g. http://www.simslegacychallenge.com/...rait-generator/ or https://www.platinumsimmers.com/trait-randomiser/) or just roll dice. Exception: You may choose the traits and aspirations for the child if either of the child's parents has any of the following traits: Family-Oriented, Patriarch, Mentor. Yours is the only family living in the colony in the beginning. 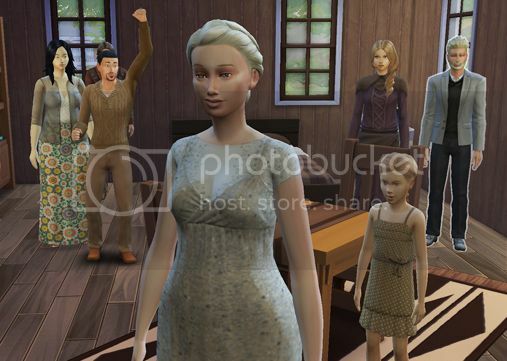 -When you are allowed to add a family, create them in CAS or download them from the Gallery. Roll a six-sided die or use random.org to determine the number of people in the family (between 1 and 6). -You can use your Charisma skill to persuade people to join your colony: You can add one family for every sim in your family who has reached level 6 in Charisma. -You can also attract people by hosting great parties. You may add one family for every type of party for which you’ve got a gold medal. You can only invite people who live in your colony to your parties, you can’t invite homeless people! -Improving the services and the infrastructure in your colony will also make people move into your community. You may add one family for every community lot you add. There is no school in your colony. You must prevent children from going to school. -There must be at least twelve people living in your colony (your family included). Hospital births are not allowed and woohooing may always lead to a pregnancy (roll a six-sided die or use random.org first: 1 means you need to pick the interaction Try for baby instead, and if you roll 2-6 you can just pick Woohoo). You can always choose to Try for baby if you want to. There is no electricity yet. You may not use the computer, the TV, the radio etc. (You may use the fridge, however). There are no possibilities for higher education in your colony. If you unlock this, you can always choose the traits for your sims when they age up or are born. -To lift this restriction, one of the sims in your current family must have the trait Genius and be at least a young adult. There may only be one community lot of each type (ie. one café or restaurant, one pub or bar, one library etc.). One heir can unlock and add only one community lot during their lifetime, unless they have one or several of the following traits: Business Savvy, Genius, Ambitious. In that case, they may unlock and add one community lot per each of those traits that they have during their lifetime. When a community lot has a certain cost, you can either pay for that lot or try to fill the other requirements, in which case you won't have to pay anything. If you decide to pay, just use a money cheat to reduce your money by the required amount. You don't have to add all the community lots listed here in order to win this challenge. You can choose which ones to build. This should preferably be the first public building or venue that you create. There are many nice choices in the Gallery (under General), but you can also build it yourself. Just remember not to make it too modern! If there is anything that needs clarification, please let me know! This was a rather lengthy challenge to write, so it's quite possible that I haven't been able to think all the rules through as well as I would have liked. Feel free to point out any miscrepancies or unclear rules to me! If you want, you can roll a random event every Sunday to keep things interesting (use dice or random.org). 1 The spring festival makes people romantic. Add a new baby to a random family in your colony (Manage Worlds -> Household Management -> Edit sims in CAS). 3 A flood destroys the house of one family in your colony (pick randomly) and you want to help them. Move them into your house. You may move them out after one week if you want. 4 Problems with the building permit office. If you can raise your Logic skill by two points (unless it’s maxed already, in which case you succeed automatically) in the next 24 hours, you’ll be able to convince them that your requests are rational and nothing happens. If you can’t raise your Logic by two points, you may not build anything before next Sunday. 5 Fire! One of your community buildings has burnt (pick randomly). You may rebuild it using your money if you want to, but it will cost 5000 simoleons. If you don't want to rebuild it, bulldoze it. 6 Unrest on the border! 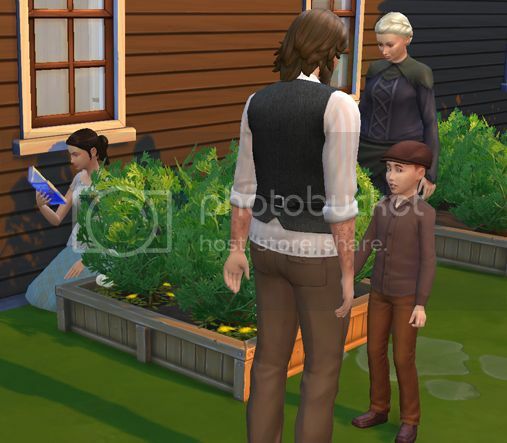 All young adult and adult sims will have to leave the house to help EXCEPT the heir, because the heir must take care of the internal affairs of the colony. Move the other adult or young adult sims out to another lot. Every day after this, roll dice or use random.org to pick a random number: 1=The war continues and one of your sims is killed (pick randomly) and will not return home after the war, 2= The war continues, 3= The war continues, 4=The war continues, 5=The war is over, everyone can come home immediately (move them back in), 6=The war is over, everyone can come home immediately (move them back in). 7 The autumn festival makes people romantic. Add a new baby to a random family in your colony (Manage Worlds -> Household Management -> Edit sims in CAS). 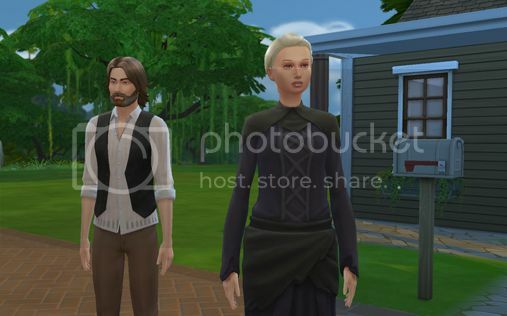 8 A casanova moves into the community, sweeps one of the female sims in your family (young adult or adult) off her feet and knocks her up. Pick the female sim randomly. That sim may even be your heir if your heir is female. Instructions: Create the casanova in CAS (if you haven't already), move him into your house and make him Try for baby with the selected sim. You can then move him out if you want to. 9 Your Mister Casanova is at it again! This time a female sim from another household gets pregnant. Pick the female sim randomly. 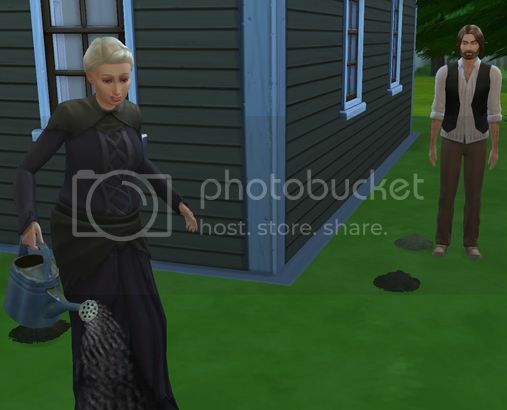 Instructions: Create the casanova in CAS (if you haven't already), move him into the female sim's house and add a baby to that family in Household Management. 10 A family asks if they may move into your colony. You decide. If you say yes, create four sims in CAS and move them into your colony. 11 Oil has been found in your colony. Use the cheat Kaching or some other money cheat to add 2000 simoleons to your family funds. 12 Gold has been found in your colony. Use the cheat Kaching three times or use some other money cheat to add 4000 simoleons to your family funds. You can also invent random events yourself, and it would be great if you could share them! This is awesome! I'm going to start playing immediately. I will let you know if I run into any problems or major issues. Thanks for doing this. challenges I'm working on now. Thank you, everybody, I'm happy that you like it! Feel free to post your stories or pictures on this thread if you wish. Lauryn is neat, perfectionist and ambitious (which has been quite frustrating since the careers aren't available in the colony yet! ), Benjamin is hot-headed, genius and bro. He also seems to be quite lazy, since it's always Lauryn who does all the work in their garden, which is their only source of income. Benjamin just sort of hovers over her when she's working and desperately tries to get her attention. He usually either wants to flirt or argue with her, so she has decided just to ignore him most of the time. Benjamin's flirting was successful a couple of times, however, and they soon found themselves with three children. During the third week, Lauryn raised her Handiness skill level to 6 and they were finally able to build the first community lot, a church, in their little colony. That attracted the first new family to the colony. Because Lauryn had the Ambitious trait, she was able to add another community lot, a park, when she reached the level 6 in Gardening. That was enough to persuade the second new family to move to the colony. The little colony felt desolate and lonely no longer! There were now enough inhabitants to lift the School restriction, too. That was a big relief for the Holloway children as they were all failing because there is no homeschooling option in Sims 4. Their good luck continued: some gold was found in the colony and they got 4000 simoleons. A spring festival took place during the fourth week and resulted in one of the new families having a baby. By the end of the week, Lauryn felt that she wanted to retire from being the heir and to concentrate on taking care of her beautiful garden. So I picked their eldest child, Sophie, as the new heir. Sophie, who aspires to become a painter, is proud but also a bit scared to take on this responsibility. I'll report on how she's doing later when I've had time to continue playing. There have been rumours that a casanova is moving to the colony, so Sophie might be in some real trouble. Nice to hear, Reina-Rose. Please let me know how it goes! Hmm, something like mine, but mine is a civilization challenge where you start from the ancient era and have techs to research and all that, I might apply some of the rules in my challenge too! And as always great challenge! Uninfinite, have you already published your civilization challenge somewhere? It sounds like a challenge that I'd enjoy trying. Ok, let's hope it'll be approved soon! @Reina-Rose, your story is amazing! @Reina-Rose, I love your prologue! It will be so great to find out how you'll make Katie's story unfold. Are you going to use the random events list, too, or just the regular challenge rules? @Uninfinite: No, I didn't notice, but that actually reminds me that I did happen to notice that they were both at exactly 823 views once. This must be some kind of a conspiracy! @wingit: Wow, that is very cool, the Firefly universe is a very fitting and imaginative setting for this challenge! I'd love to see pictures, even if only of your poor charred settlers. I don't know if what you're experiencing is a glitch, but such a fight for survival sure seems to reflect the harsh realities of living on the frontier! #20 19th Oct 2014 at 5:07 AM Last edited by indigoskycaller : 19th Oct 2014 at 5:18 AM. Ok, I have a question about townies. Do I have to let the game create them for me, or can I play god? Edit: Here are my sims! I'll play with Sloane, isn't she beautiful? I got her from random sims <- random sims <- random sims. @indigoskycaller, that's nice to hear, please let us know how it goes! You've got a very good-looking settler couple. And yes, you can definitely keep your mods if you want. Mods often make the game more enjoyable, and the main objective of this challenge is to have fun. So as long as the mods won't make the challenge so easy that it's boring for you, they aren't forbidden. You can also create the townies yourself. I personally roll dice for the number of children / adults and female / male sims in the family I'm creating and also randomize their traits, but I choose their clothes, relationships and looks myself. I think it's nice to have some kind of control over the sims that move to my colony. @Aislynne, I'm keeping my mods, too. "No autonomous phone interactions" fits this challenge especially well, I think. I'll post pix of my new couple. I trashed my poor toasty critters lol. So, I've played a few days normally, just to get to know my sims, and think about their story. These two are so cute! They costantly kiss, hug and want to woohoo. Actually, Sloane wanted a baby, so I had them try for it, and she's pregnant. I've also changed their clothes and decided that with every generation the era during they live will change (does that even make sense?) because I want no restrictions on clothes. couple, Celeste and Alexander Newberry.